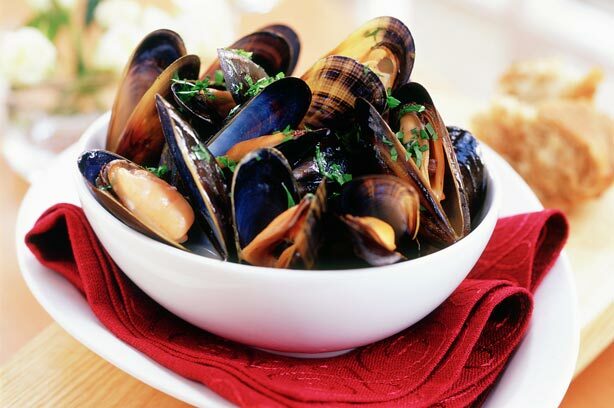 Remove fresh blue mussel meat from shells, strain and reserve broth. Add enough hot water to broth to make 4 cups in total. Melt butter in pot, add onion and sauté until transparent.